Introducing a modern family style Italian Feast to share all Sunday long. 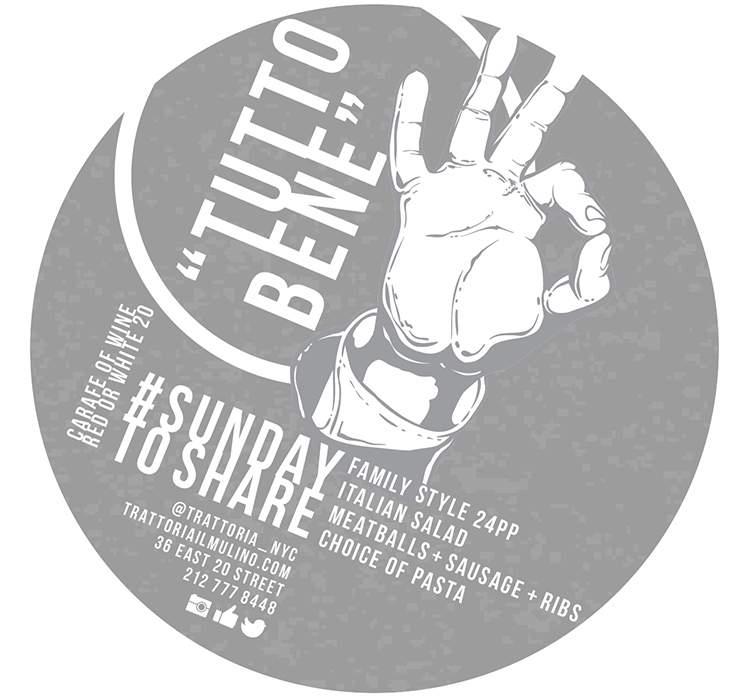 Tag @trattoria_nyc #SundayToShare for your chance to win a gift card. Taste delicious Voveti Prosecco and wood-fired Trattoria Il Mulino pizza. Reservations not necessary. See you there. Salute delicious Trattoria Il Mulino cuisine and Silver Oak wine! Manhattan’s coolest Italian restaurant Trattoria Il Mulino serves #NYCRestaurantWeek lunch. Presenting cuisine you’ll love at first bite. E-mail events@ilmulino.com or call 212 223 8848 to request more information. Starring Tuscan wine’s Export Director Paola Tealdi. Four-course dinner at 80PP served.